$21K price reduction! New carpet & paint! Call for your private tour! Olentangy schools with Galena taxes! You'll love coming home to this extra spacious 4 BR home! Located on a quiet street in desirable Meadows at Cheshire, ride your bike to Alum Creek State Park! Just minutes to the Outlet Mall, Polaris shopping/business areas & I-71 for commuting. Floor plan has formal Living & Dining Rms, large Kitchen w/Dinette, breakfast bar island, desk & hardwood floor, 1st flr Laundry & expansive Family Rm w/gas fireplace. 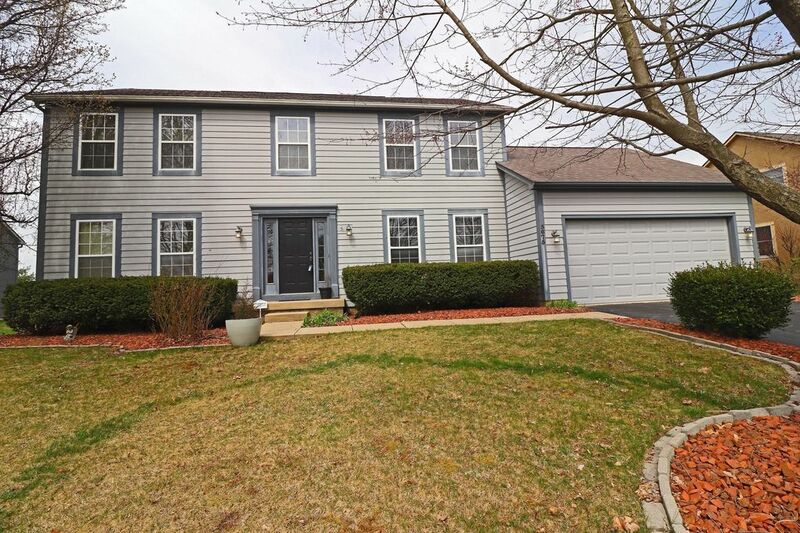 4 upper level BRs including Owner's Suite w/private Bath & walk-in closet. Ready to finish Basement w/rough-in for Bth. 2 car Garage w/storage area bump-out. Great back yard w/huge Deck, basketball court w/pole & backboard. Directions: Africa to Summer Blvd to Greenfield Drive.